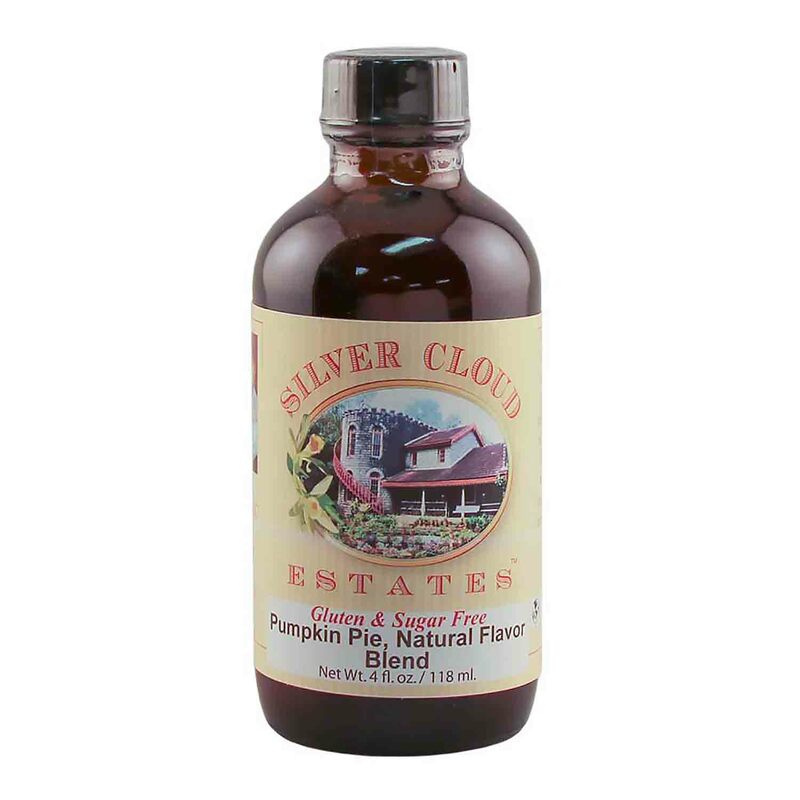 Brand: Silver Cloud Estates SCE-190 Units: 4 oz. jar Pumpkin Pie Natural Flavor Blend is more than the spice notes used in your typical pumpkin pie. This extract is the complete flavor with pumpkin and crust notes. This great tasting flavor can be used in ice cream, baked goods, beer and wine or any place the flavor of pumpkin pie is needed. We recommend using just one teaspoon in your typical cake or cookie recipe. This flavor is sugar and gluten-free. Pumpkin Pie Natural Flavor Blend is more than the spice notes used in your typical pumpkin pie. This extract is the complete flavor with pumpkin and crust notes. This great tasting flavor can be used in ice cream, baked goods, beer and wine or any place the flavor of pumpkin pie is needed. We recommend using just one teaspoon in your typical cake or cookie recipe. Ingredients: Ethyl Alcohol, Propylene Glycol, Water and Natural Flavor.